Creator of the web, Tim Berners-Lee has announced the launch of the 'World Wide Web Foundation at this years' United Nations-funded Internet Governance Forum (IGF). The creator of the web stood in front of an audience of 1200 internet luminaries at the conference in Egypt this month – with attendees including Jerry Yang, co-founder of Yahoo and Robert Kahn, a co-inventor of the Internet protocol – and sent his latest announcement out to the world via his Apple iPhone. Berners-Lee said that the "World Wide Web Foundation" was an incubator helping to lead "transformative programs to advance the Web as a medium that empowers people to bring positive change." 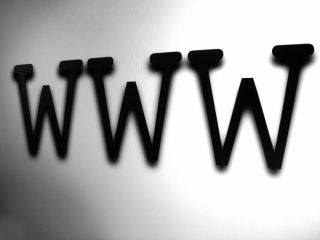 Berners-Lee said the Web Foundation was the next logical step following on from his two earlier initiatives the World Wide Web Consortium (W3C) and the Web Science Trust. "When we look at the Web, we don't look at it anymore as connected computers or as connected Web pages," he explained. "We look at the Web now as humanity connected. Humanity connected by technology. We want it to empower people. We want it to do the very best for humanity." "A common set of values and principles has always characterized the development and operation of the Internet," said Lynn St. Amour, president and CEO of the Internet Society. "Open standards, freely accessible, inclusive processes and transparent governance have always been part of its evolution. Internet governance by definition must be open and inclusive. We're obliged to assure these fundamental principles endure."